Traditional Chinese acupuncture (TCM) is part of ancient Chinese medicine. It is a complementary form of medicine to treat various conditions. Practitioners insert needles into the skin at certain points on the body and offer two types; Traditional Chinese and Western (dry needling). Practitioners apply the theories of meridians and Qi (pronounced chee) energy flows. They insert needles at specific points on the body regulate ‘energy flow’. This enables the body to restore equilibrium and a state of well being. A traditional Chinese approach helps alleviate a variety of disorders. These include: pain and muscle spasm, respiratory, gynaecological, skin, digestive, allergy, neurological and anxiety disorders. Practitioners can apply Western Medical or dry needling techniques using scientifically based knowledge of neuro-physiology and anatomy of trigger points. Trigger point needling/stimulation, reduces pain and muscle spasm, releasing substances naturally produced in the body, such as endorphins. Practitioners manually stimulate and/or electrically stimulate the needles to achieve the therapeutic effect. Sterile disposable needles are used in all treatments and new sterile needles are used for every patient treatment! 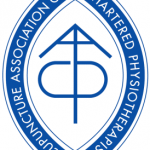 Practitioners use this treatment as a ‘stand alone’ treatment or in combination with physiotherapy and may be dependent on the type of referral. Can blood donors have treatment? Blood donors receiving TCM or dry needling must inform the blood donor services that they are receiving or have received treatment, from a regsitered practitioner. 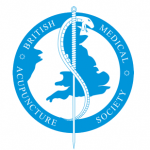 As our practitioners are all registered with either the Acupuncture Association of Chartered Physiotherapists (AACP) and/or the British Medical Acupuncture Society (BMAS).